A VERY WELL PRESENTED THREE BEDROOM property situated in the sought after village of MAIDS MORETON, a short drive from Buckingham town. The has had various IMPROVEMENTS THROUGHOUT such as a refitted kitchen, refitted shower room, GAS TO RADIATOR central heating and UPVC double glazing. 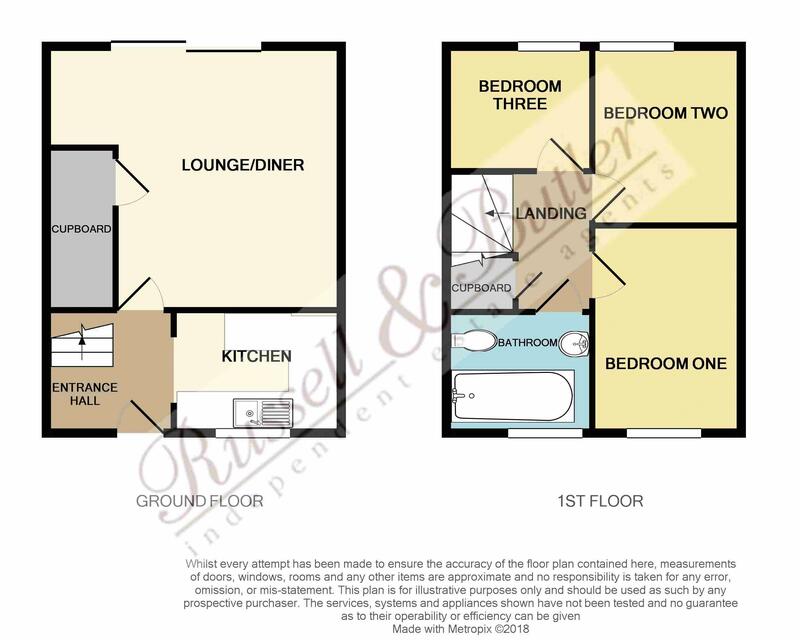 Accommodation comprises: Entrance hall, kitchen, spacious lounge/diner with storage, first floor landing, three bedrooms, family bathroom, front and rear gardens and a DRIVEWAY providing off road PARKING for TWO CARS (with potential for further off road parking as well). EPC rating C. Viewing highly recommended. Stairs rising to first floor, laminate flooring, radiator. Refitted to comprise a range of base and eye level units, stainless steel sink unit, work tops over, tiling to splash areas, space for a fridge/freezer, space for oven, space for washing machine, integrated dishwasher, Upvc double glazed window to front aspect. Sliding doors to rear garden, wooden laminate flooring, under stairs storage cupboard, radiator. Access to loft space, cupboard housing combi boiler. Upvc double window to rear aspect, radiator. Refitted to comprise a white suite of panel bath with mono bloc mixer tap, waterfall shower over and shower attachment, pedestal wash hand basin with mono bloc mixer tap, low level wc, tiling to splash areas, heated towel rail, tiled floor, Upvc double glazed window to front aspect, downlighters. Laid to lawn, off road parking for two vehicles, outside light. Fully enclosed, laid mainly to lawn, storage shed. All main services are connected. Council tax band C.